Model 016 of the Dojo Pro has a unique clear lacquered finish, and thus is named the 'Mokuzaya' (Wood Saya) - for collectors who like to see the natural finish and wood grain. 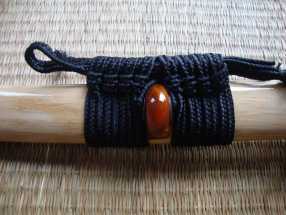 The saya (sheath) itself thick and made from quality wood - clear lacquered which - along with the Kurikata and Kojiri, are made of hand cut and polished buffalo horn, finished off with a hard wearing length of black sageo (cord) so it can be secured to your obi (belt). I ordered my Dojo Pro 16 and was pleasantly surprised when it arrived in my hands less than a week later. 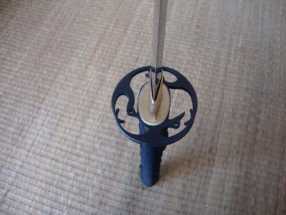 The sword is beautiful and I will definitely be recommending it to others as the best value cutter i have used. The sword feels great with the point of balance spot on at 4.5 inches, and in all a finish quality far exceeding my expectations (and i expected it to be pretty good anyway from what i had read). 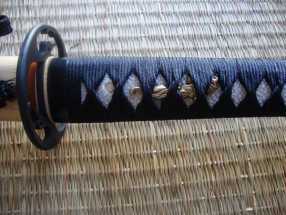 The horn used for the kurikata etc is really nice as is the clear lacquered saya. The koiguchi is nicely done, the ito tight, the same nicely finished around the pegs and a really nice taper to tsuka. 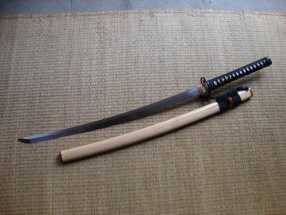 I failed to find even a single knock, scratch, or imperfection of any kind on the blade in fact. 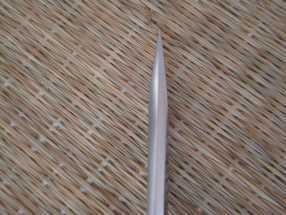 It is perfectly straight and the edge itself has been sharpened very well without any turning to the edge and a very even taper and balance to the kisaki from the yokote. 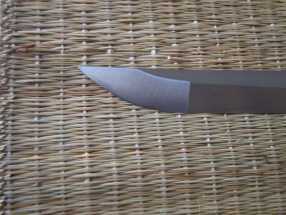 The blade handles well, is quick and maneuverable yet feels solid enough to cut with confidently. 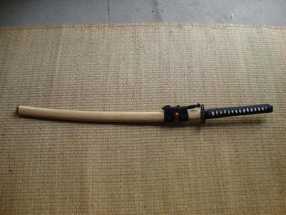 the tachikaze (translated as 'sword wind' - the sound the sword makes) is very satisfying despite having no bo-hi. I have to say im very impressed with everything from the service received to the speed of delivery to the United Kingdom and above all with the katana itself. If your a practitioner living in the UK i would highly recommend purchasing one.